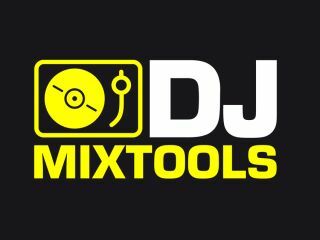 Loopmasters has announced that anyone who registers on its website can download 500MB of sample content from its DJ Mixtools series for free. Goove Tech Vol 2 features four tracks broken down into progressive stems covering drum grooves, percussion tops, synths, effect builds, breakdowns and drops, providing the tools to lift DJ sets and productions in this popular style. MIX FX V1 is a great collection of DJ FX, Long Evolving Gated Effects, Builds, Rises, Booms, Crashes, Deep Chords, Echo FX and Impacts which Producers and DJs alike will find invaluable in the Mix, or to make tracks with in the studio. Taking inspiration from the big room sounds of DJs and producers like Axwell, Ingosso and Steve Angelo and others Swedish House Vol 3 features four tracks broken down into progressive stems covering drum grooves, percussion tops, synths, effect builds, breakdowns and drops providing the tools to lift Dj sets and productions in this popular style. Progressive House and Tech volume 2 fuses the sounds of the Progressive House movement of late with the Tech sound that has been at the forefront of dance music for the last year - and presents 4 brand new tracks which have been created for DJs and Producers to Mix and Mash in new and exciting ways. Loopmasters producer DJ Re-Zone who is know internationally for his fantastic sounding and technical productions has created a unique and exclusive collection of Progressive Tech House tracks, broken down into progressive stems allowing you to mix, remix, loop and add that ultra-cool groove element to your set, or studio productions.